Theresa May’s ruling Conservatives avoided a feared rout in local elections in London, and managed gains outside the capital – according to partial results from Thursday’s local elections in England. The opposition Labour Party do not appear to have made the gains they saw during last year's general election. The party, which played down talk of historic victories in local elections in London and the northwest of England, said that targets in key boroughs were "out of reach". 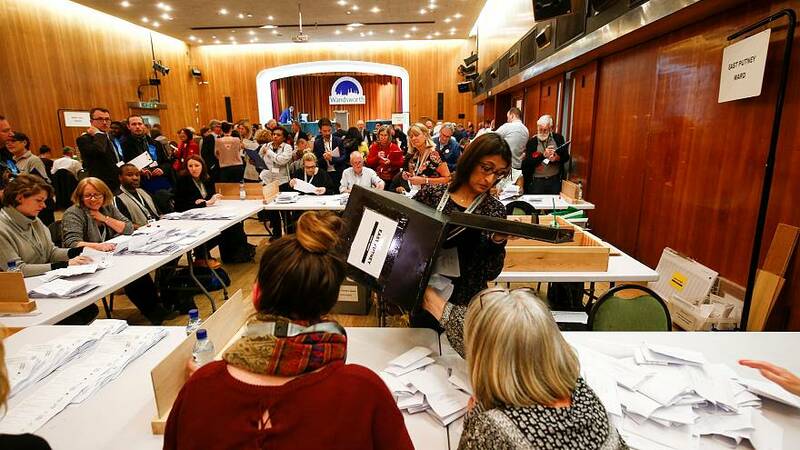 The Conservatives held control of the symbolic London borough of Wandsworth, results on Friday confirmed, defying some predictions that it could fall to Labour. The council has been run by the Conservatives since the time of former prime minister Margaret Thatcher in the 1980s, when it was a symbol of the late leader’s low-tax policies. There was also success for the Conservatives in the north London borough of Barnet, which they won even though it had been a big target for Labour. The Tories also won back Salford in Greater Manchester. It's thought the party could have suffered a backlash from the recent anti-Semitism row that has plagued the party. Outside London the Conservatives benefitted from the collapse of the UKIP vote, with many of the anti-EU party's seats turning blue. The Tories have done well in areas that voted to leave the European Union in 2016. Despite Labour’s failure to take several key targets, they won back Plymouth and the borough of Trafford in Greater Manchester. A total of 4,371 seats are up for grabs in 150 local councils in what is the first England-wide test of political opinion since last year's general election. Meanwhile the Liberal Democrats have made substantial gains, winning back the London borough of Richmond from the Conservatives, and experiencing a resurgence not seen since the 2010 general election. The local elections do not affect seats in Parliament, but are seen as an important test of the public mood at a critical time for Theresa May’s leadership. She faces several major tests of her authority, not least over Brexit where her plans for customs arrangements with the EU after the UK’s departure have prompted dissent and possible revolt from both wings of her party.